An annual Yatra to ‘Hud-Maata’ and ‘Tri Sandhiya’ is held on ‘Haar Shudi Ashtmi’ (8th day of bright Lunar fortnight of haar) with great fan fare. Initially, only the people of Dachhan would participate in this yatra but now it has gained momentum and people from other areas of Kishtwar district are joining it. 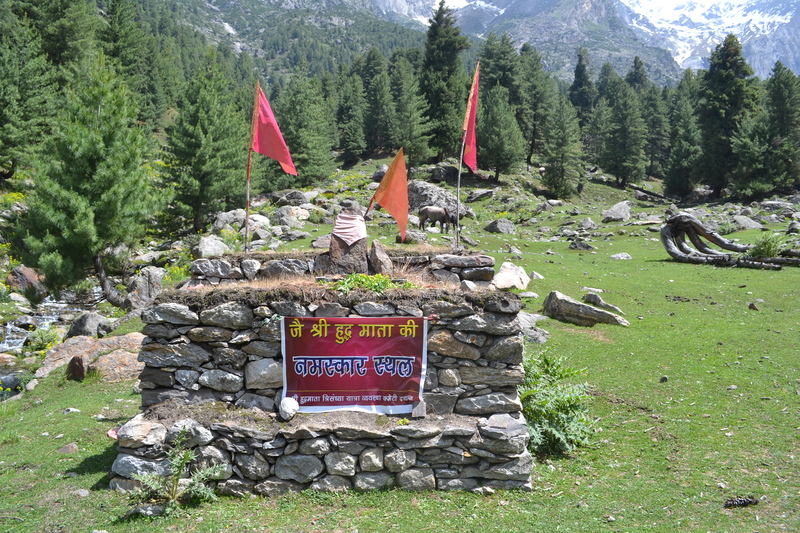 The shrine of HUD-Maata is an abode of ‘Shiv Parivar’ just like Shiv Khori in the Reasi district. 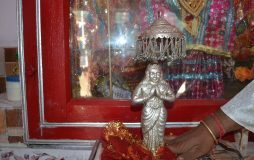 “Hud-Mata’ is the local name of Paarvati Maata derived from sanskrit word Hutti or Ahuti poiniting to Paarvati Maata, who in her previous incarnation, was the daughter of Daksh Prajapati and had resorted to self-immolation in the yagya of her father, after she could not bear the insult inflicted on Lord Shiva by her arrogant father. 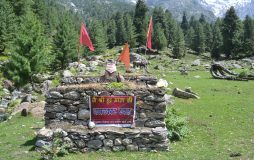 In the ‘Nanth Nala’ of Dachhan there is a cave where three naturally formed Ice Lingams of Lord Shiva, Mata Parvaati and their son, Ganesha are a source of attraction to the devotees. From the ceiling of the cave, milky lime water oozes out of a naturally sculptured udder and teats and in the form of droplets falls on the three ‘Lingams’. 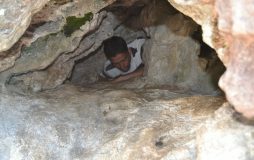 Elderly local people say that previously, there used to be a ‘Kund’ inside the cave in which darshan of the ‘Shiv parivar’ or deity as per the wish of the devotee, could be had with the help of the torch light. 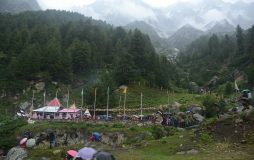 Pilgrims of Kishtwar and its adjoining area assemble at Gori Shanker mandir Sarkoot Kishtwar and there from travel on buses up to Patimhala and thenceforth on light-vehicles to Ikhala 40 kms, away from Kishtwar. From Ikhala, they travel on foot to reach Sounder village, which is the base camp of the Yatra; After the nights halt at Sounder, the pilgrims, along with the holy mace of ‘Hud-Maata’ start their on-ward journey from Radha Krishan Temple Sounder to ‘Viraat Maata mandir Dilgoot’ travelling a distance of about 6 kms. People from length and breadth of Dachhan throng to welcome the holy mace and to join the yatra. After the night-halt at Dilgoot, the picturesque journey towards Nanthnalla is started. Traveling a distance of about 20 kms. the pilgrims reach at ‘Gugath’ the picturesque summer resort of the shepherds of Dachhan for their night halt. Next morning, the Yatra starts for its destination i.e. 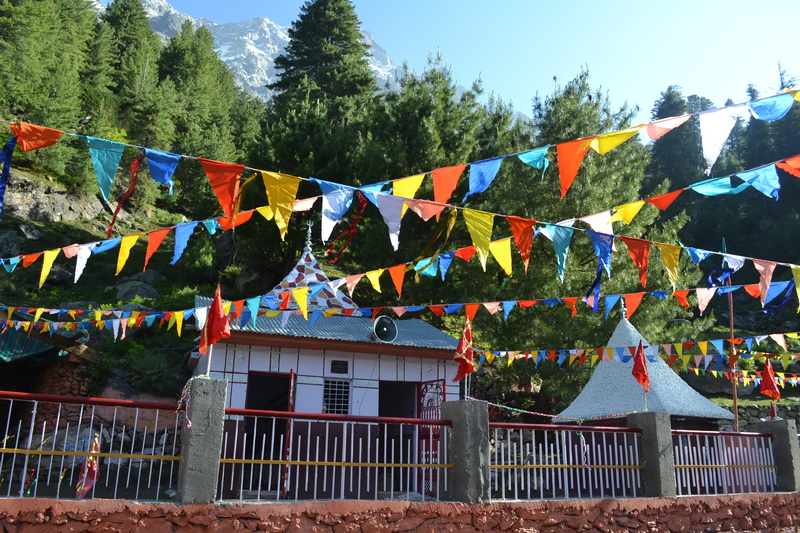 the shrines of ‘Hud-Maata’ about 8 kms, away from ‘Gugath’. The day is ‘Haar Shudi Ashtmi’. 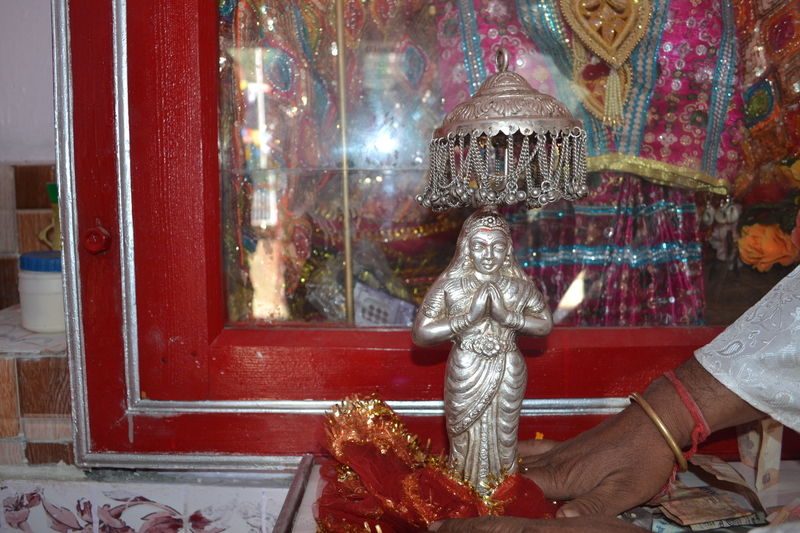 On taking a bath at the holy shrine, Pilgrims py obeisance to the Matta, have a darshan of the lingums and partake of ‘Prasad and langar’ held at the shrine. They, then, proceed to the site of ‘Tri-Sandhiya’ about 2 kms away to have a bath in its waters. Tri-Sandhya is a miracle of nature and a gift to humanity. Tri Sandhya, a wonderful stream flowing down the slopes of a mountain twice or thrice a day is considered as very scared by the devotees. The main characteristics of this stream is that after flowing for some time from the top of the mountain down the ravine, it gets receding and surprisingly from downwards to upwards and finally disappears leaving no trace of water. Astonishingly, there is neither a lake/pond nor any glacier at the top of the mountain where-from it may originate. Pilgrims come from far off places to find an opportunity for a bath. Some get a chance to bath in the stream which is instantly seen receding upwards. The name ‘Tri Sandhya’ has been attributed to this stream in the belief that three-times a day prayers are performed by this stream to Lord Shiva, Mata Parvaati and Brahma who stand nearby in the form of ‘Hud-Mata’ and ‘Brahma Peaks’. the place is situated quite opposite to Brahma Peaks with river ‘Nanth Nalla’ flowing in between. Locally say that in ancient times; Trisandhya would appear three times i.e. morning, noon and evening regularly. This seems to be a superstition. 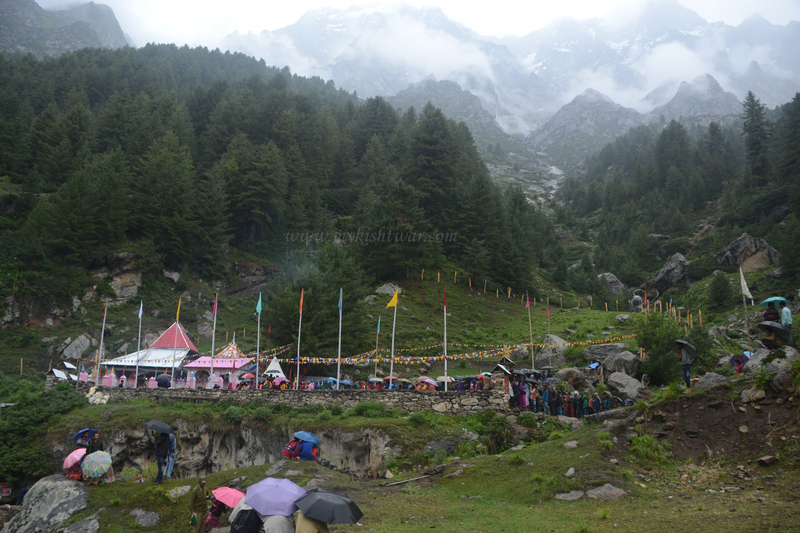 The devotees hold this stream in great reverence and a dip in its waters is considered very auspicious. Nearby, is an old historical temple ‘Kaikut’. 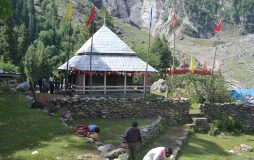 It is a Naga temple, made of deodar wood and stone during the rule of Raja Maha Singh of Kishtwar in the 17th century. Fine carvings on wood and stone sculpture points to the craftsmanship of the period in which it was built. The land in terraces near the temple and the stone walls speak that some civilization existed there in ancient times. On the foot of the peaks is small lakes called ‘Brahmsar’ of icy cold, fresh and clean water with sky blue color. Taking a dip in the waters of this lake is considered as very auspicious. Pilgrims have faiths that by having a dip in this lake, their sina are washed off by the grace of Lord Brahma present there in the form of lofty Brahma peaks. 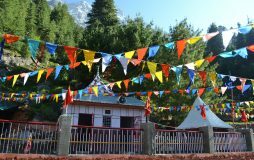 The tourists circuit of Kishtwar , Ikhala-Panjdhara-Nanth Nalla-Tri Sandhiya-Brahmsar if developed can attract thousands of tourists of various tastes. The natural beauty of the area is indeed matchless.